Photos from my book "Disciple of Decay". 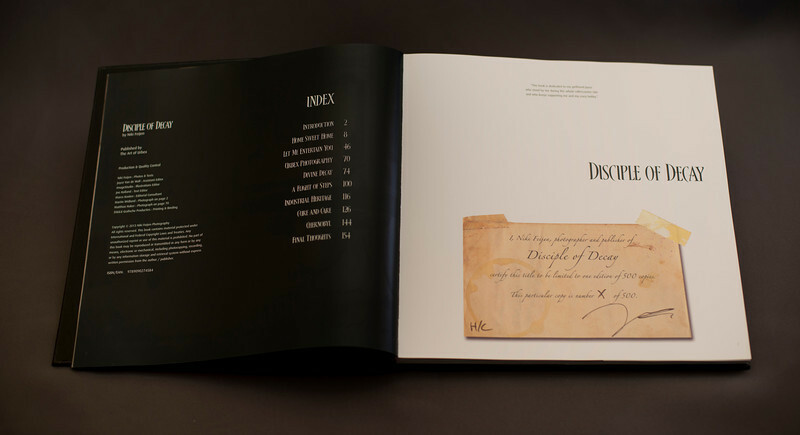 Strictly limited to one printed edition of 500 pieces worldwide. Measures 28x28 cm, 156 pages at thick 175 gr. paper. All books are numbered and signed. The book can be ordered from the menu. Worldwide shipping available.